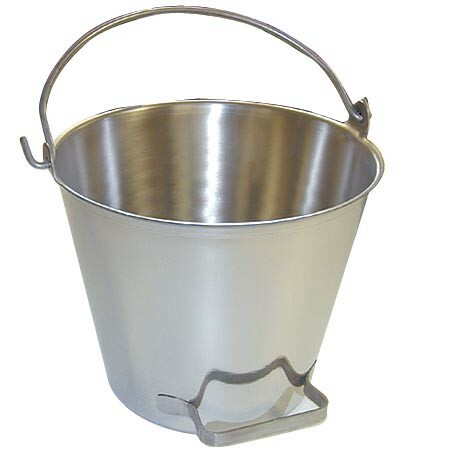 A long-time favorite, our Stainless Steel Pail w/ tilt handle features heavy duty construction throughout. Made out of 18-8 Type 304 stainless steel, the seamless construction assures greater tensile strength. With mirror polish outside surface and satin finish inside, this pail is easily cleaned to the most exacting standards. Tilt handle on bottom makes for easy pouring. Cover not included. 16 qt. Weight 5.5 lb. Durable Plastic Corner Hay Feeder by EndureQuest - BULK Discounts Available!